Glitterbox recently announced its opening party line-up with the launch of a charity auction of ‘The Ultimate Record Collection.’ The brand has joined forces with Hï Ibiza and season headliners Basement Jaxx, David Morales, Masters At Work, Roger Sanchez and Todd Terry to curate and personally sign ‘The Ultimate Record Collection’, which is set to be auctioned for charity between Thursday 10th – Monday 21st May. All the proceeds from the auction will go to the Ibiza Preservation Fund, which works to preserve Ibiza and Formentera’s land, sea and unique cultural and environmental heritage. 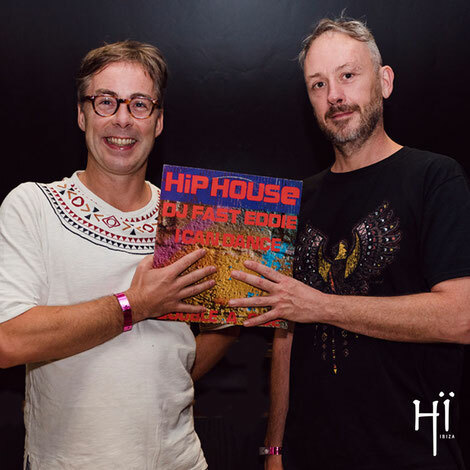 Glitterbox’s 21st century disco returns to its home at Hï Ibiza for the opening party on Friday 1st June. The opening line up will be Basement Jaxx, Roger Sanchez, Purple Disco Machine and a live PA from Barbara Tucker in the club’s Theatre, Dimitri From Paris, Aeroplane and Melvo Baptiste in the Club, as well as the Savage DJs Jonjo Jury and Joshua James alongside DJ Pippi in the Wild Corner. Glitterbox performers Lucy Fizz, Raven Mandella, Joan Oh, Kalypso Bang and more will be bringing the nights to life. Other DJs performing this summer include Armand Van Helden, Groove Armada, DJ Harvey, Greg Wilson, Honey Dijon, Horse Meat Disco, Nightmares On Wax, Derrick Carter, Kenny Dope and many more.